I met my first book crush when I was seven. He was handsome and courageous, driving Laura home every week from the depressing (and dangerous) Brewster’s house. He was quiet, but when he did speak, he always said the perfect thing. Almanzo Wilder was the multi-talented farmer boy who could brave a raging blizzard to save a starving town AND make legendary pancakes. 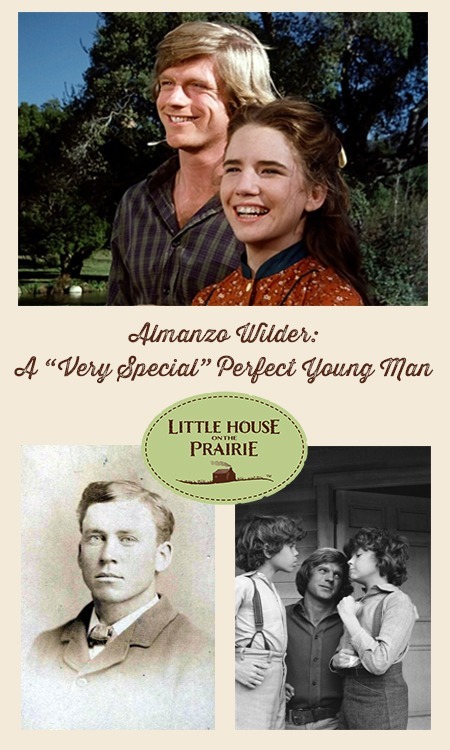 The real Almanzo Wilder is frequently included on book boyfriend lists, and blogs featuring Historically Hot Men. Sometimes he is compared or linked with the character from the TV series, played by Dean Butler, and fans of the Laura/Almanzo TV courtship create their own version of the love story on YouTube. 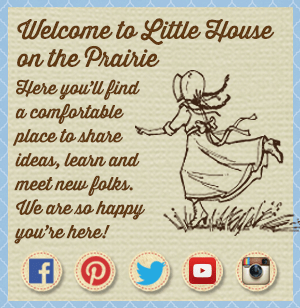 I watched the “Little House on the Prairie” television show with my mother when it originally aired and later on syndication. It introduced me to Wilder’s novels, and while I was always aware of the big differences between the books and the show, I identified with both versions of Laura, particularly the teen girl who wanted to be taken seriously—and her choice of a partner, Almanzo Wilder. In my research on the development and subversion of the “Perfect Man Archetype” in young adult literature, I use feminist literary theory and romantic conventions to examine how women writers, such as Jane Austen, L.M. Montgomery, and Laura Ingalls Wilder, used their fiction to examine social and political issues that concerned them. The “Perfect Man Archetype” develops from their exploration of heterosexual relationships, a man who becomes a model partner, worthy of their female protagonists. This perfect man is handsome, has an appreciation for his love interest’s intellectual or artistic pursuits, and sees her as his equal with her own goals and ambitions. Willing to make great sacrifices, he must become comfortable enough with his own emotions to show some vulnerability. A hotly sought-after bachelor, with girls like Nellie Oleson vying for his attention. Looking at him one can see why. Driving Laura home (every week, even in a blizzard) from the Brewster’s where she was teaching. Building Laura a house with an extravagant pantry: “‘Like your pantry?’ he asked her, and she thought how many hours he must have worked, to put all those shelves and to make and fit those many drawers.” To me, it feels like the late 19th-century version of a playlist. 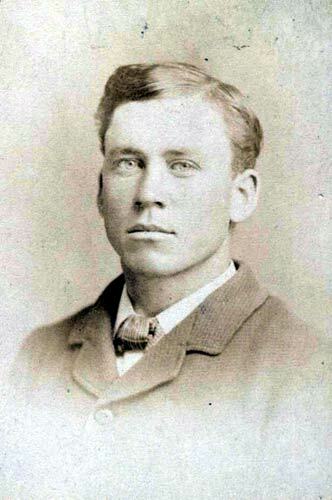 Given the age differences between the real Almanzo and Laura (ten years), viewers would be uncomfortable with a young man in his twenties going after a teen girl. Perhaps this is why Pa is so adamant at first that Laura must be 18 before she gets married (“He Loves Me, He Loves Me Not, Part One”). In the wake of second-wave feminism, depicting a woman pursuing the man she wants to be with wasn’t as controversial as it might have been in the 1930s and 1940s when the books were written—or when the real Laura and Almanzo were courting in the 1880s. Finally, the viewer had to get used to the idea that half-pint was now a teenager. While this certainly explains the TV dynamic between Laura and Almanzo, the result is that Almanzo does not get the same opportunities to prove himself as he did in the books. 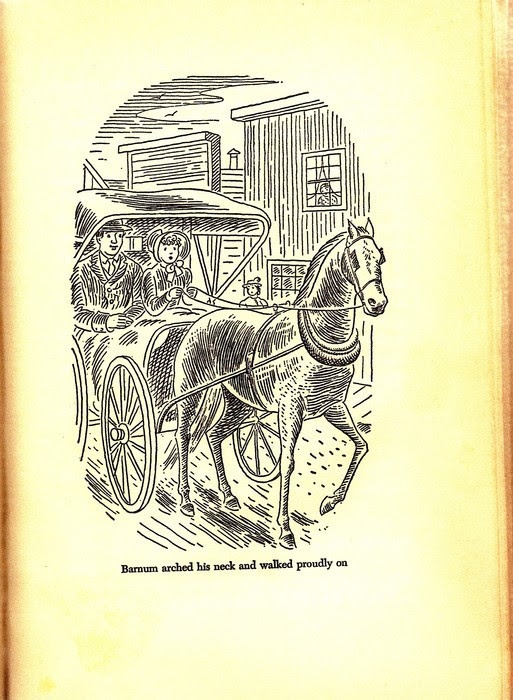 Walnut Grove is not starving, and the most worrisome thing about the teacher Laura is staying with, Miss Trimble, is that she talks to herself (“Sweet Sixteen”). Almanzo Wilder might be the most hardworking young man in Walnut Grove (next to Pa), but he still needs to prove that he’s worthy of Laura’s love. Episode 1 of Season 6 focuses on Laura loving the unattainable man. Almanzo only sees her as a kid and is dating various young women around town. Laura often makes the first move, such as when she asks Almanzo to the Circus and then dresses up as a clown and kisses him (“Anabelle”). Still, many of the guest stars and subplots provide a foil for Almanzo’s character to emerge. When the bully, Bartholomew, punches Albert and Laura steps in, Almanzo leaves his post at the Feed and Seed, pulls them apart, and defends them (“The Werewolf of Walnut Grove”). In “Wilder and Wilder”, Almanzo’s younger brother Perly Day Wilder comes to town. While at first, he may look like the better match for Laura, he proves to be reckless and puts money above caring for Almanzo’s injured horse Barnum. When Almanzo leaves the arm wrestling match to rescue the horse, we see a young man with a strong moral character. But it is in “Sweet Sixteen” when Laura finally has a teaching job that Almanzo sees her for the woman she is. While Almanzo experiences some minor stresses here, such as when Laura makes him wait for a response about the church social, he has yet to really risk anything emotionally. Given Laura’s open nature, Almanzo probably has a good idea how Laura feels about him, so when they finally do get together, he subconsciously might take this for granted. He clearly does not understand Laura’s connection to her family, because he gives her an ultimatum—him or her family—and then takes off to Sleepy Eye, breaking off contact, and making Laura miserable (“He Loves Me, He Loves Me Not, Part One”). An opportunity to help with the new blind school brings Laura to Sleepy Eye where the greedy landlord, Mr. Pims, refuses to budge on the rent. Almanzo overhears this and arranges to pay the difference without telling Laura of his good deed. He takes on an additional job, carrying ice at the general store, but it becomes too much and one rainy morning Almanzo gets so sick that he collapses and catches pneumonia. When Pa finds out the truth, he declares that they’ve all been wrong about Almanzo: “He’s a very, very special young man who must have a great deal of love for you” (“He Loves Me, He Loves Me Not, Part Two”). Laura goes to Sleepy Eye, “talks to his heart,” and Almanzo declares, trembling under all that ice, “I thought I could forget you. But I can’t. If I have to wait two years or twenty years. I’ll wait. ‘Cause there’s nobody else in the whole world for me but you, Beth. I love you.” Through this grand selfless gesture, as well as no longer taking Laura or her love for granted, Almanzo Wilder of the TV show becomes the man worthy of her. 1. Frantz, Sarah, F. G., and Katharina Rennhak. Women Constructing Men: Female Novelists and Their Male Characters, 1750-2000. United Kingdom: Rowan & Littlefield Publishers, 2010. Print. Miller, Ron. “Dean Butler Newest Member of ‘Prairie.’” Boca Raton News 14 September 1979: 13. Web. 2. 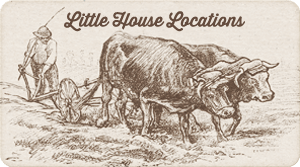 “Season 6.” Little House on the Prairie: The Complete 9 Season Set. NBC Universal, 2011. DVD. 3. Wilder, Laura, Ingalls. The Long Winter. New York: Harper Collins, 1940. 4. Wilder, Laura, Ingalls. These Happy Golden Years. New York: Harper Collins, 1943. Print. 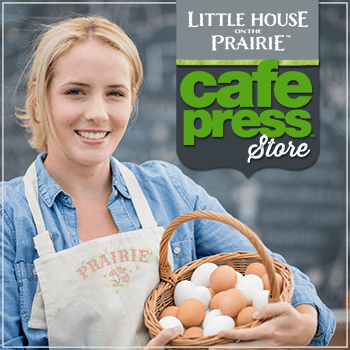 You can read about the courtship of Laura and Almanzo in These Happy Golden Years and see Melissa Gilbert and Dean Butler portray these characters in Season 6 of the “Little House on the Prairie” television series. 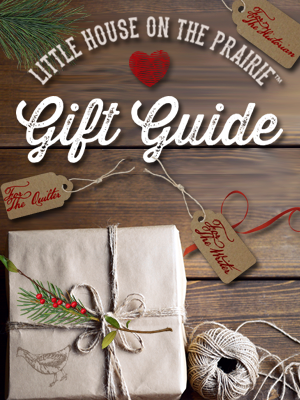 If you love talking Little House on the Prairie, be sure to subscribe to the free newsletter for more discussions about the Ingalls family and other characters. Melanie holds an M.F.A. in Writing for Children and Young Adults from the Vermont College of Fine Arts and an M.A. in History from Concordia University. 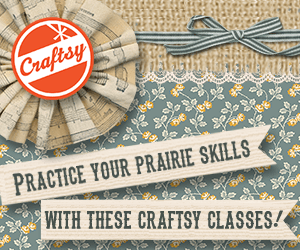 With over 17 years experience in children’s publishing, she lectures internationally on Laura Ingalls Wilder. 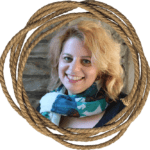 A freelance writer and social media consultant, Melanie teaches English at Humber College in Toronto. Her first novel based on the teen life of L.M. Montgomery will be published in 2017 under the Razorbill imprint, a division of Penguin Random House of Canada. 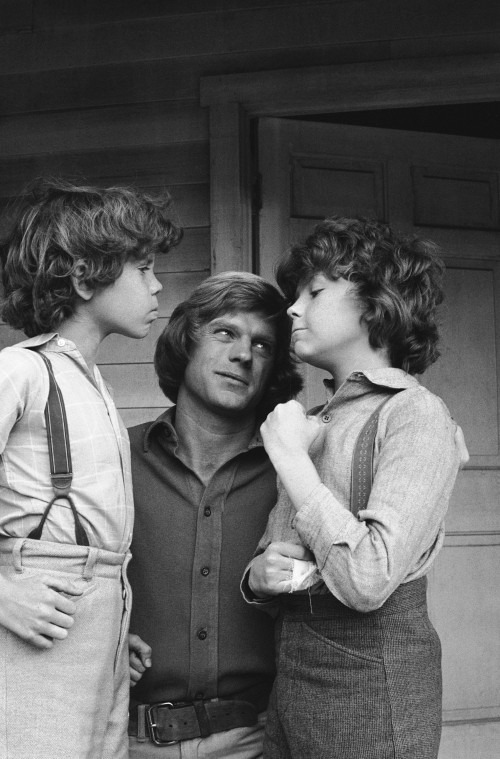 I enjoyed Melanie’s essay and always appreciate that I was given the opportunity to play Almanzo on the Little House on the Prairie series back in my early twenties. It has impacted my life in so many positive ways I simply can’t count them all. Like so many of you I love the way Laura wrote Almanzo Wilder in her books. I often like way the character was written on the series and I occasionally like the way I played him. My job was to be the man who loved Laura and I did that to the best of my ability. Not surprisingly my best work happened when I simply allowed the words to flow through who I am and I was least effective when I couldn’t find the truth of Almanzo’s circumstances in my own life (that’s actor stuff). I humbly acknowledge that I am far from “the perfect man” but I’m grateful to have had the chance to play one on TV. You were and i suspect are still an amazing actor. Very genuine — very real. Well done!! Gretchen. How neat to see your comment here, Dean Butler, and know that you read and responded to this article about Almanzo. I wonder if you had read the books Laura had written before you played her husband on the show or not. Having read the books over and over again as a child and then having watched the show as a teenager, I was always very satisfied that the show never veered too far from what Laura Ingalls Wilder would have given her approval as an accurate portrayal of the people and times that she wrote about. So if you ever see my comment here, could you comment about whether or not you had read the book series before or after you played Almanzo…and anything else that you might like to share about your part in the series! We was doing our family tree, and found out Harvey wilder’s daughter, Laura’s niece is my grate uncle mother, Edna wilder married Samuel hepworth , thier son david hepworth married my aunt Marge. I thought that was very cool. Too bad they had to give him that 1970’s haircut! So loved the love between.Almanzo and. Laura..
I’ve been watching Little House since the 70s and it has been like therapy for me. Always grounds me and I have season 6 and 8 that I watch constantly. I will eventually collect all of the seasons I hope. Thank you to Dean Butler and the rest of the cast for breathing life into the show and therefore, breathing life into me when I had none.